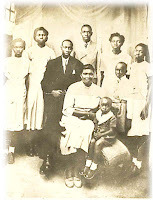 Mr. Ashwood, a police officer, lived at the Police Barracks in Kingtom with his family, which then consisted of 6 children: Hodson, Pamela, Gloria, Gracie, Jestina, and their baby, Joseph. One day, Mr. Ashwood brought home a single loaf of bread from Whitfield’s bakery, to be shared by the household. Bread was being rationed and also, cost one shilling. An exorbitant amount at the time! A loaf of bread was, of course, inadequate to feed the entire household. So, Mrs. Ashwood, inspired by her late mother, Annie Asgill, who used to bake cakes in a pot during festive seasons, decided to make bread in a pot. She bought all the necessary ingredients, and after several unsuccessful attempts, with varied results— hard as stone or completely soggy—she conquered! With joy, she took some samples to the neighbors. It was a success! So she started making extra bread for sale. As the news spread, the business progressed and by 1948 it was a recognized farmhouse bakery at Bolling Street, Kingtom. A small oven was bought and expert bakers engaged. 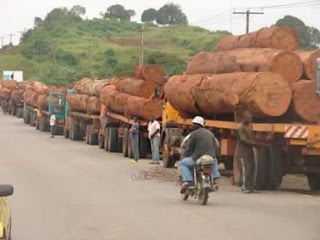 The business initially started under the name of Ashwood, Sons and Daughters (ASSADS). Mr. Ashwood then renamed the Bakery, Red Lion after his favorite “watering hole” in London. This is how Red Lion Bakery was born. In 1988, ownership passed on to four daughters: Pamela Grant, Gloria Dillsworth, Gracie Williams and Jestina Jones. Over the last 25 years, all four have been involved in co-managing the business. 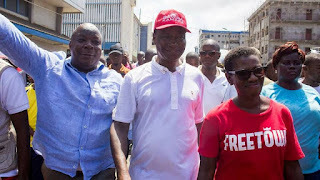 For 10 years till 2013, Jestina the youngest, was the managing director and ran it successfully through very difficult times until her death, in July of that year. In early 2013, the owners determined it necessary to transition the business to the 3rd Generation. Cyril Grant and Michelle Jones, grandchildren of the founder, have taken up the challenge. Now at 13 Bolling Street, Kingtom, with a full-time staff of 25 employees and growing, several shops across Freetown, owned and operated by independent distributors carry Red Lion Bread. 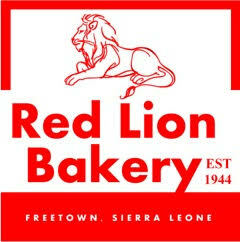 Red Lion’s flagship bread shop in Freetown is at 65 Siaka Stevens Street.